Making mistakes is an essential part of learning and perfecting your skills. In nail art, where there is no set rules or handbook, you learn by trying new things and figuring out what works. With that in mind, today I’m sharing 8 mistakes I used to make. Read on so you don’t have to make them too. Not using top coat. Sometimes, due to lack of time or resources, I’d skip that crucial step. Never again! Plus, I simply didn’t know that different top coats perform differently, Sally Hansen Diamond Flash, where were you? If you need any more convincing, here’s 5 reasons why top coat is a must. Using top coat that you’ve never tried before for an important manicure or on a client. Having finally learned lesson 1, a nail design would sometimes shrink, go bubbly or take too long to dry and smudge. Experiments should be conducted when you have time for it. For important manicures, stick to what you know works. If you need some suggestions, check out the list of the best top coats – here and here. Using polishes that you’ve never tried before for an important manicure/client. The same rule as above applies here, an important manicure is not the time to experiment. Swatch that nail polish before using it for the job. 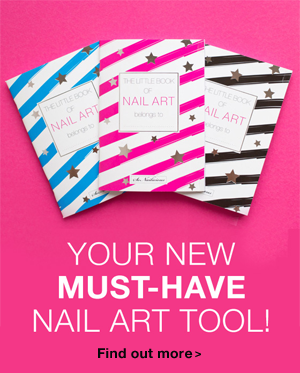 If you don’t have nail tips, the Little Book of Nail Art is designed to check the density and finish of polish. Marbling with red and white nail polishes. OMG! I’ll never forget this one. I did this crazy manicure for a night out all the way back in 2002 (!!!) and rather than looking elegant, my nails looked just like fresh wounds. Lesson learned: red and white looks great in clean geometric manicures, but avoid anything too organic. Red or orange nail polish next to your cuticles. How can I say this politely? It just looks like a disease and there’s no way to make it beautiful. Red or orange in any shape or pattern at your nail bed just don’t look good. Full stop. Not cleaning up. Cleaning up around your cuticles makes a huge difference. So please, people of the Earth, listen to me! Get yourself an angled nail art brush, dip it in acetone and clean up any imperfections. Your manicures are on their way to perfection! If you need any evidence, there was time when I didn’t know how to clean up – check this out. Using wrong brushes. Using the right brushes makes such a huge difference. I learned this the hard way – from ‘customizing’ makeup brushes designing my own nail art brush range. 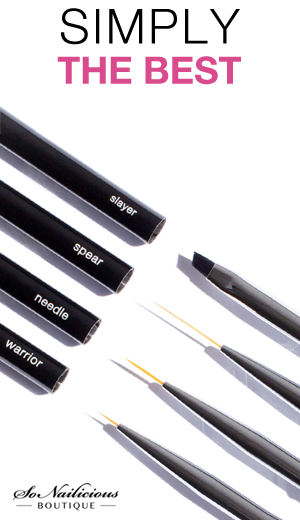 Once you try the right brushes (that were specifically designed for nail art!) you’ll see how easy nail art can be. Trying to fit too many techniques or patterns into one look. Adding a pattern over a gradient manicure (like this) is one thing and stamping, freehand, 3D and gradient all mixed in one nail design just doesn’t look good even if you use $50 Swarowski studs. Keep it to 2-3 techniques per design for a fail proof result. 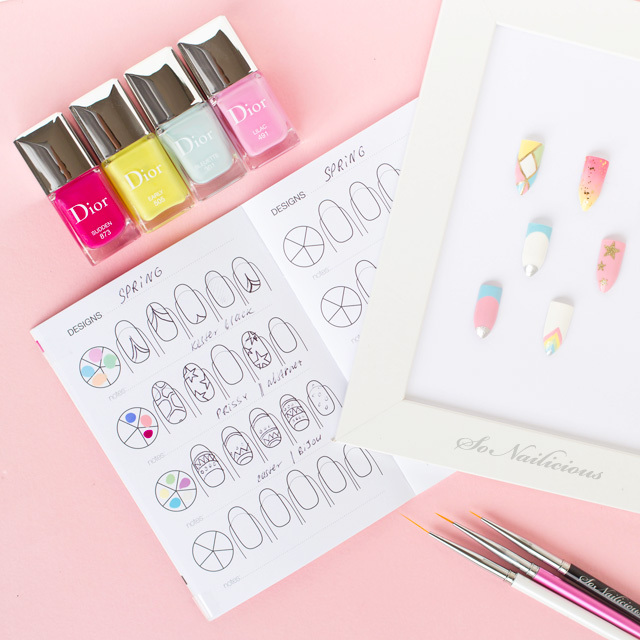 If any doubts, why not paint it on a nail tip or in the Nail Art Sketch Book before recreating it on nails. There you have it! The nail art mistakes that I made in the past. Some made me sad, like smudging a beautiful design, others made me laugh (the Freddie Kruger worthy red and white shocker) but all of them helped me improve. I hope they help you too. 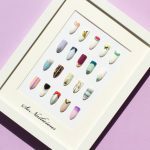 Have you done any of the nail art mistakes listed above or perhaps you’ve had your own unique shockers? 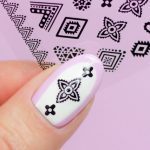 Want to know how to improve your nail art instantly? You’ll love these tips & tricks.